Ofcom, the UK's communications watchdog, have released a Wi-Fi checker application that can help broadband customers keep their Wi-Fi running at high speeds at home and in the office. The app, which works by sampling wireless signals to see if data is flowing without interruption, provides tips to help people spot what's slowing down their internet. The Wi-Fi can be slowed down by anything: from lamps and kitchen equipment to baby monitors, you name it and it could affect it. However it may surprise you that the number one item that's slowing down everyones Wi-Fi this Christmas is fairy lights. BUT if your router is far enough away from the electronics and up high, your Wi-Fi may remain unhindered. "Ofcom has identified challenges in improving coverage across the UK. Around 8 per cent of UK homes – around 2.4 million – are currently unable to receive broadband speeds of 10 Mbit/s or above. This jumps to around half (48 per cent, or 1.5 million) in rural areas, where speeds are often affected by premises lying further from the network’s local street cabinet or local telephone exchange." Small businesses are also struggling to gain high-speed broadband connections. 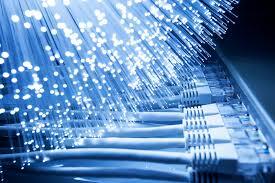 Around 130,000 SMEs are persevering on download speeds of below 10Mbit/s, according to Ofcom. Are you struggling with your broadband? Maybe it’s time to upgrade your company’s communication systems. Communication technologies can be complex, but broadband internet gives you high-value, low-cost options if the right package is successfully installed and maintained, get in touch with 360ict today for more information.